Vinyl 1 and laminate flooring are two popular, man-made flooring products that come in a variety of colors and styles. Vinyl flooring is made primarily from polyvinyl chloride (PVC) resin, which is a synthetic material produced by the petroleum industry. It’s typically texturized and dyed, laid in a single layer over rubberized plastic. Vinyl 1 comes in both plank and tile form, can be glued down, installed floating, and even grouted. 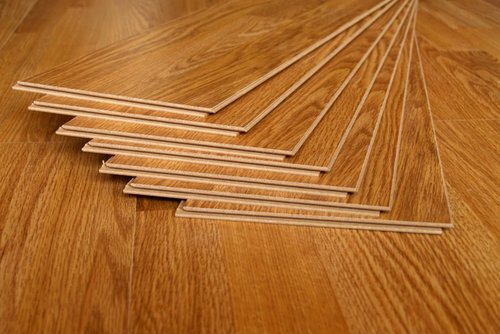 Laminate flooring is made up of several layers of wood byproduct, usually melamine resin 2 and fiber board which have been fused or laminated together. It has a printed layer on top covered with a clear, protective layer to help simulate the look of wood. 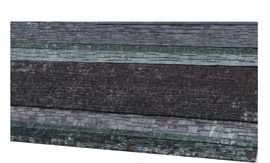 It’s usually sold in plank form, although some tiles can be found as well. Below we discuss the differences between the two materials further, as well as their cost, installation, and appearance. Both laminate and vinyl 1 flooring are fairly easy to install, and both can be put in by DIY homeowners, although professional installation is recommended for some types of each material. Laminate flooring is usually sold in interlocking planks, which create a floating floor. The planks lock together on the edges and an expansion gap is necessary around the perimeter of the floor to allow the boards to swell and contract from moisture. 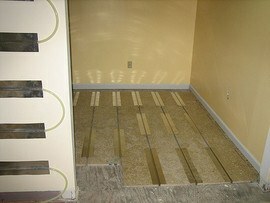 The cost of professional installation of laminate flooring usually ranges from $1.50 to $3 a square foot. Vinyl flooring can be installed in several different ways. The most common DIY method is peel-and-stick, where a backing is removed from the vinyl before it is pressed onto the floor. Other types of vinyl flooring include glue down, sheet vinyl, and interlocking tiles. Newer vinyl flooring can also be grouted to give the look of a real tile floor. The cost of vinyl installation varies depending on the type of vinyl. Vinyl composition tiles (VCT) cost around $1 to $3 per sq. 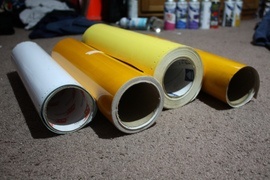 ft to install, while sheet vinyl costs between $0.75 and $2 per sq. ft. to install. 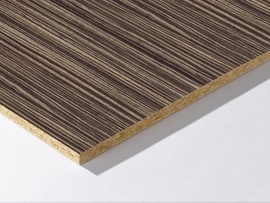 Concerns exist about emissions of volatile organic compounds (VOCs) from PVC products including vinyl flooring. Floorscore® IAQ certification (Indoor Air Quality) was developed by the Resilient Floor Covering Institute and rates these VOC emissions. There is a wide range of costs for both laminate and vinyl flooring. For laminates, this cost range is determined by the thickness or number of layers in the vinyl, the color - some darker colors cost more - and whether you are using a premium or basic material. 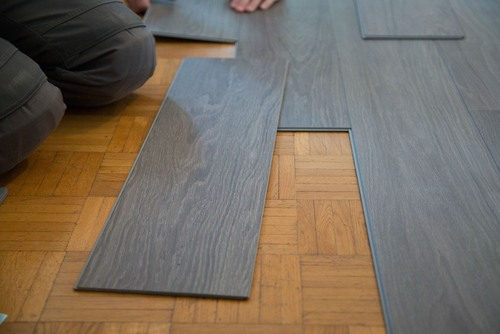 Costs range from $1 to $5 a square foot for material and from $2 to $8 a square foot installed. Vinyl also has a wide range of costs because there are so many different types on the market. But overall, there is also a typical range of around $1 to $5 a square foot for most vinyl flooring. Installed costs range from $1.75 to $7, making both materials fairly comparable in cost, with vinyl being slightly cheaper. Laminate flooring is designed to look like hardwood. Therefore, the printing on the top layer comes in a number of different grain patterns, colors, and textures. It’s common to find not only glossy laminate floors but “handscraped” styles and rustic patterns. Some laminate floor squares may also take on the look of natural stone with patterns that resemble marble or slate 3. Like wood flooring, laminate typically feels hard underfoot and without an underlayment 4 it may echo or be loud. Vinyl flooring also has a number of different styles. Sheet vinyl may come with different patterns to give the look of tile or stone and may also have borders inlaid into the pattern. VCT and other forms of vinyl tile may take on the look of porcelain or stone and come in a number of different colors and finishes. Newer versions can include a grout joint to more closely mimic stone. Vinyl is resilient underfoot and more comfortable to walk on. It’s also quieter and can help absorb noise. Both laminate and vinyl flooring are fairly durable, long-wearing materials. Laminate flooring lasts approximately 30 years when properly installed and maintained. It’s resistant to staining and scratching and is moderately flame retardant. It is susceptible to water and moisture, however, and the planks can swell if they are used in a wet area. For that reason, they are not recommended in kitchens, bathrooms, or basements. Vinyl flooring has a wider range of lifespan, depending on the type installed. Any type of glue down vinyl can last up to 50 years because the glue tends to harder with age. Interlock vinyl lasts about 15 to 20 years when well maintained. Vinyl is not affected by water or moisture and can be used in bathrooms and basements without issue. Both laminate and vinyl flooring are very easy to clean and maintain. Both can be swept or vacuumed without a beater or bristle bar. No waxing is required for either product. A damp mop is usually sufficient for laminate flooring as excess moisture can cause swelling. Laminate floors are also susceptible to static electricity build up. A damp mop can help eliminate this issue. Vinyl floors can be damp or steam mopped as they are not affected by moisture. Both products are stain resistant and require no special cleaning products. Laminate flooring is made to look like hardwood, but unlike hardwood it does not improve the resale value of the home where it is installed. Some people don’t like the look of laminate, which can be a factor when selling the home. Vinyl flooring also does not add much to the resale value of your home. Most realtors recommend wood flooring for increasing home value. Both laminate and vinyl floors can be installed over radiant heat. Either an interlock or glue down application is acceptable over radiant heating mats. How much does it cost to install vinyl or laminate flooring in my city? Cost to install vinyl or laminate flooring varies greatly by region (and even by zip code). To get free estimates from local contractors, please indicate yours. A common way to refer to melamine resin, which is a combination of the chemical melamine and formaldehyde that produces a smooth and durable hard surface. It is commonly used in Formica countertops and laminate flooring. Cost Considerations: Refacing cabinets with melamine, which can cost less than $3,000, is a cheaper option than wood veneer, which can run $7,000 to $9,000 or more. It is also a good option for cabinet interiors because it doesn't require finishing.